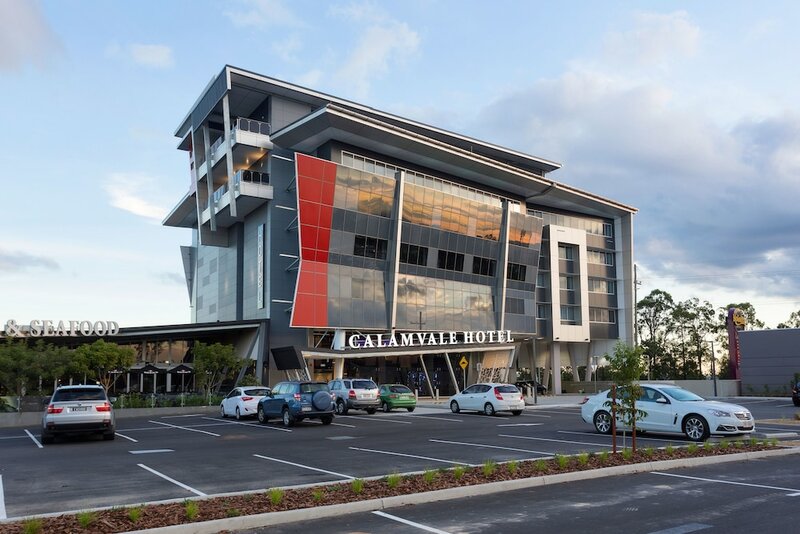 With a stay at Calamvale Suites and Conference Centre in Calamvale, you'll be within a 15-minute drive of Queensland Sport and Athletics Centre and Griffith University. This 4.5-star hotel is 10.3 mi (16.5 km) from South Bank Parklands and 11.1 mi (17.8 km) from Queen Street Mall. Make yourself at home in one of the 60 air-conditioned rooms featuring refrigerators and LED televisions. Complimentary wired and wireless Internet access keeps you connected, and cable programming provides entertainment. Private bathrooms with showers feature complimentary toiletries and hair dryers. Conveniences include phones, as well as safes and desks. Grab a bite to eat at Steak & Seafood, a restaurant which features a bar, or stay in and take advantage of the 24-hour room service. Need to unwind? Take a break with a tasty beverage at one of the 2 bars/lounges. Cooked-to-order breakfasts are available daily from 6:30 AM to 9 AM for a fee.